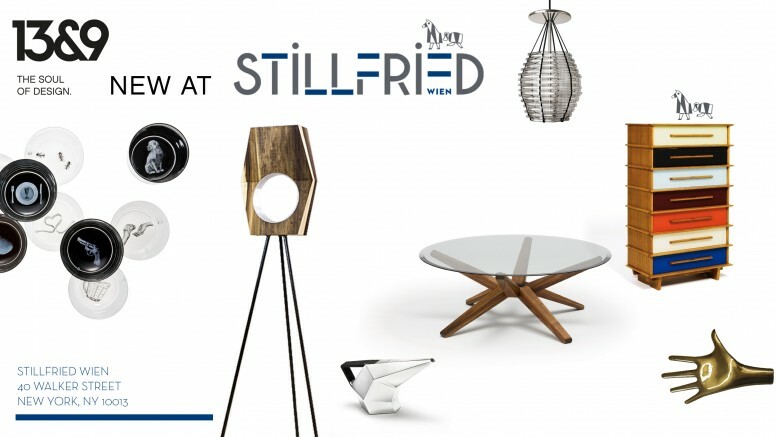 WOOD LIGHT table luminaire & floor lamp and GEOMETRIC COLLECTION | jewellery is available at Stillfried Wien now. Stillfried Wien is the vision of entrepreneurs Anna and Michael Trubrig, a Viennese couple who share a lifelong passion for art and design. Anna’s career spanned fine arts marketing, promotion and importing and Michael was a hedge fund manager before they decided to combine their passion with their love for New York and open a furniture gallery in the lively and sophisticated neighborhood of Tribeca. Stillfried Wien showcases an exceptional mix of modern design, traditional craftsmanship and European sensibility.